Exceptional one-level living in custom Ron Clark built condo building. 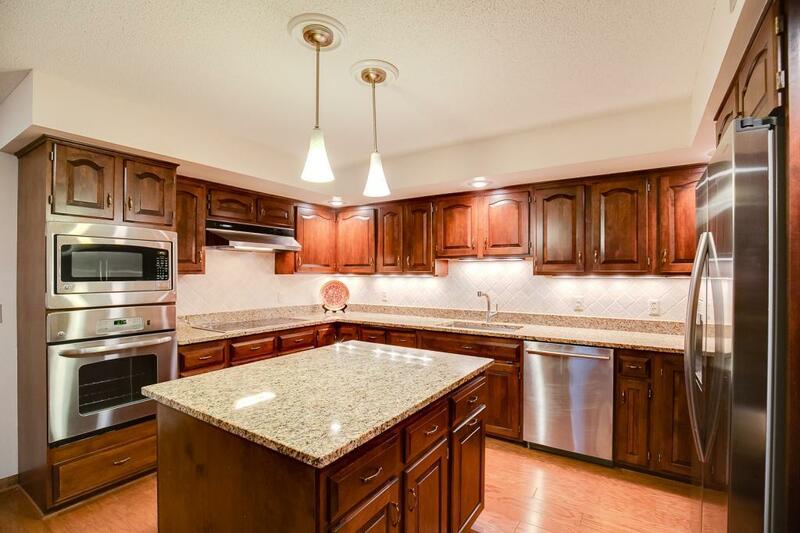 Home has new hardwood floors and stainless steel appliances in the updated kitchen. Large master bedroom suite with walk-in closet, whirlpool tub and walk-in shower. Spacious floor plan, 3 season porch, gas fireplace, wet bar, and more. Underground garage with car wash. Elegant and private--building has just 16 units. Close to freeways, shopping, dining, hospitals and more. You will love the quality craftsmanship throughout.